Maxwell Dovetail cutters are used to produce the sliding dovetail joints. These joints are common on the side of book cases and also keep wide boards from cupping. They are effective in producing both the tail and the pin. This is a very strong joint and is widely used in chests, drawers, boxes and shelves. It strengthens the right angle formed by two wooden planes. The dovetail cutter is made of superior raw material that can slice into a variety of surfaces. The cutter is coated with high quality film that reduces friction coefficient, abrasion and increases heat resistance. Coating increases the lifespan of your blade that reduces production and maintenance cost. It also increases the range of materials that can be milled using a single cutter. The teeth and dimensions are computers generated and produced using the most advanced technology. The company has invested in the latest and most sophisticated machines to produce superior quality products. The process of production follows international standards including post production inspection to address any discrepancies. Quality assurance is done through internal procedures and international guidelines. Each piece is thoroughly scrutinized to ensure consistency and adherence to the specifications set by the client when ordering. It takes experience to consistently manufacture the high quality of products available at Maxwell Tools. The choice of raw material matches the tool with its area of use. It ensures that each tool can perform optimally based on the requirements of each client. The materials are sourced from reputable global producers and tested for quality. They are expertly mixed following precise production formulas to maintain a high quality. Investment in the latest software simplifies the process of designing different tools. The designs are generated in collaboration with customers to ensure that their specifications are met. The designs are then simulated on the computer to ascertain the functionality and ensure that it will serve the intended purpose. The factory has the capacity to produce a wide range of cutting tools. This helps you to achieve consistency within your milling environment. Relationship project management ensures that you are not treated like a stranger when making your next order. The profiles will be saved in case they are needed in the future. The engineers are innovative and creative when generating designs for your tools. They give a wide range of designs for you to make a choice. They also offer an opportunity to modify and customize the designs to suit your work environment. The technicians are highly skilled and experienced to offer the best quality of service. 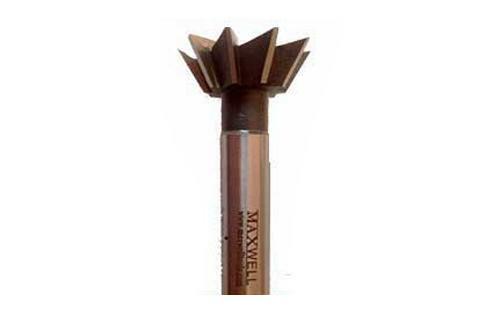 The needs of different industries vary and Maxwell Tools will meet them with precision. Some of the industries served include paper cutting units, earth moving equipment manufacturing firms, screw manufacturing and gear manufacturing. Each of them will enjoy top quality products and excellent customer care. There is a convenient checkout system that allows you to use online transfer and major credit cards to make payments. This system is secure and will not compromise your finances or personal details. The company addresses any complains about urgency to guarantee the highest level of customer satisfaction.